As a construction manager, we assume overall responsibility for a project realization within the contractually agreed time and cost frame. Like an orchestrs’s conductor the construction manager oversees and adjusts the capacities on site. Supplements and unforeseen events have to be integrated into the daily routine as well as quick reactions to safety concerns and weather events. From budgetary aspects to inspection acceptances, all processes are managed, coordinated and designed on a day-to-day schedule. Depending on size an complexity of the project, the construction manager will be present daily. Deficiencies are registered and compensation claims are asserted in the contractual framework. Construction supervision is defined as a reduced version of construction management. In addition to project owners, our clients are often the financing banks. The client provides a site manager who is supported by engineers as „experts“ with different required specializations. The engineer participates at kick-off meetings with all subsections, meetings on sites and acceptance milestones. Also take over inspections of each subsections are accompanied and documented by the engineer. The snaglists of deficiencies ensure an effective management of demands. The proper erection is granted for project owners, financing banks and regulatory authorities by consequent tracing of all defects. Without a focus on a detailed and competitive tender, many projects are implemented economically sup-optimal. In our experience, concerning the site infrastructure, complete packages at a fixed price are about 10-20% more expensive. 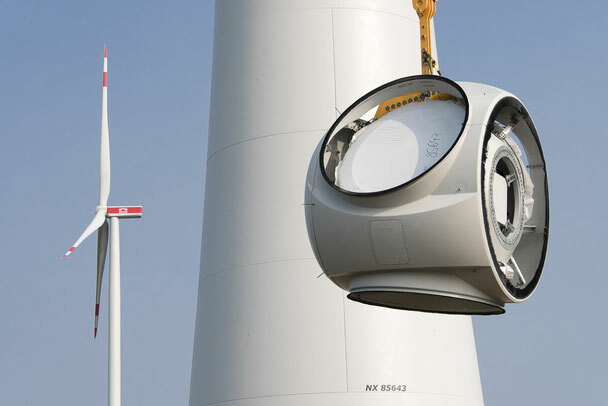 This will be about 100,000.- € for each 3 MW wind turbine. Multicontracting is the key to a cost effective implementation of windpark projects and, with a clever design, does not have any significant additional risks. The tendering procedure is designed based on project specifications and a detailed design analysis. The costs for a smart tendering procedure are only about 10-15,000.- € per WTG. In cooperation with specialized partnes like environmental experts and urban planners in our network we are taking over the BImSchG authorization procedure as well as site- and land use planning. Because the environmental aspects alone can lead to unwanted operation obligations, it is important to introduce many years of experience of construction and windfarm operation into the authorization procedure. Our target is the cost-effective, secure and most profitable plant operation.